Friends of the Gualala River (FoGR) is a non-profit, grassroots watershed protection association formed to share common concerns and research regarding the welfare of the Gualala River, its estuary and habitat. FoGR's goal is to protect the Gualala River watershed and the species that rely on it. 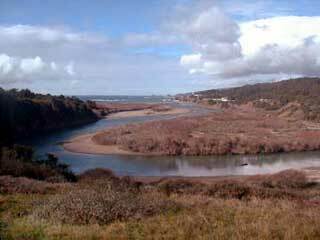 The Gualala River enters the Pacific Ocean approximately 110 miles north of San Francisco, marking the border of Mendocino and Sonoma Counties. Just past the mouth of the river lies the town of Gualala, a three-hour drive from San Francisco over narrow, twisting roads and stunning ocean and mountain views. Tourism and logging are the primary local industries.